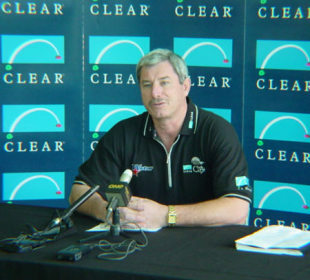 Richard Hadlee, the former New Zealand allrounder, has signed up with the American Premier League (APL) as an executive consultant. The APL, as exclusively revealed by Cricinfo, is a six-team Twenty20 tournament that is to be held in October on a converted baseball field in Staten Island, New York City. Hadlee has been contracted for four events to run until 2011. "As an ambassador and executive consultant of the APL, I am delighted to be involved with this event," Hadlee said. "The APL… brings a different format of the game to the USA - namely Twenty20 - with top-class players from around the world participating. This should be the best possible way in which to sell cricket to America's sport-loving people." The tournament is promoted by Jay Mir, the president and CEO of American Sports And Entertainment Group Inc, who wants to raise six sides using the IPL's model of franchises and auctions. Several Pakistan players have been linked with the league, including former captain Inzamam-ul-Haq, fast bowler Mohammad Asif, and batsmen Imran Nazir and Imran Farhat who are currently with the ICL. The APL is yet to receive a stamp of approval from the ICC, who have advised their Member countries not to allow players to participate in the event. Hadlee hoped the APL gets official sanction soon and said the league was keen to work with the USACA. "It would be shrewd if the USACA allowed the APL to help champion their cause and further cricket's appeal there [in the USA]."